How to see what channels I have access to? 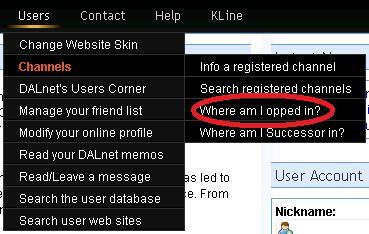 1) Click on the "Users" menu. 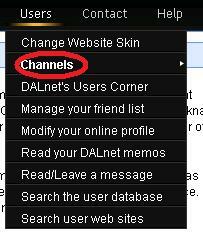 2) Click on the "Channels" sub-menu. 3) Click on "Where am I opped in? ".